Whether you have an upcoming building project with specific fire code requirements or you are a retail distributor, we can supply the fire & solid doors that you need in Melbourne. At Spartan Doors, we know that sometimes your customers are required to have fire & solid doors at their facilities in Melbourne, Victoria. 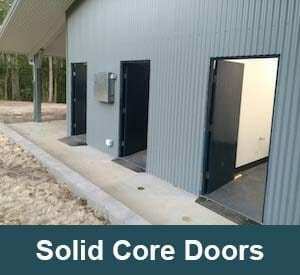 That means you cannot rely on just any manufacturer to supply the door frames and doors that will meet regulation. 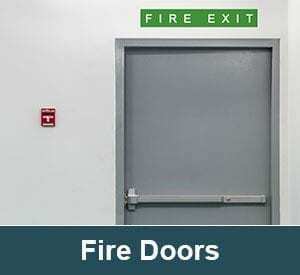 Whether you have an upcoming building project with specific fire code requirements or you are a retail distributor, we can supply the fire & solid doors that you need. Certified to building code standards. Standard finishes for fire & solid doors is ply sheet, but you may choose a different finish according to your needs, including MDF, Duracote and veneer hardware fittings. Additionally, metal sheets with thicknesses up to 1.5mm can be used to increase durability and security. At Spartan Doors, we offer high-quality manufacturing and supply of fire & solid doors that meet the standards and specifications you and your customers require. With skilled engineering and quick turnaround times, you’ll be glad you chose us for reliable industrial capacity doors. Contact us today to learn more about each of our specialised doors and door frames and to place your order. Here at Spartan Doors, we provide the highest quality fire & solid doors to help increase security at your home, office, or warehouse in Melbourne, Newcastle, Sydney, and Brisbane, Australia.